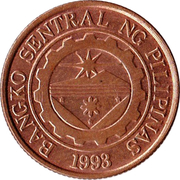 Logo of the Central Bank of the Philippines. 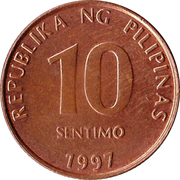 No examples of this type were struck in 1993. 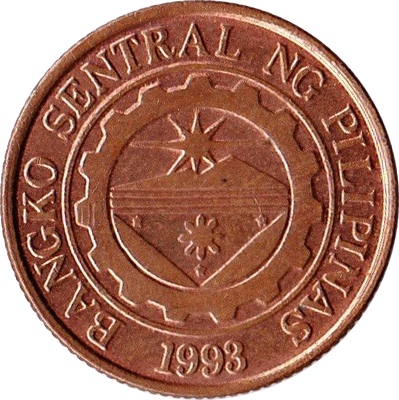 The date "1993" appears because that's the date when this series of coins was first approved. 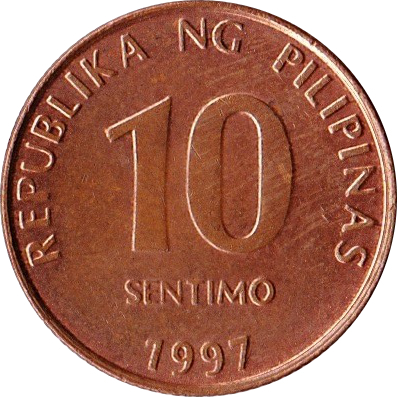 The real date is located on the other side of the coin.